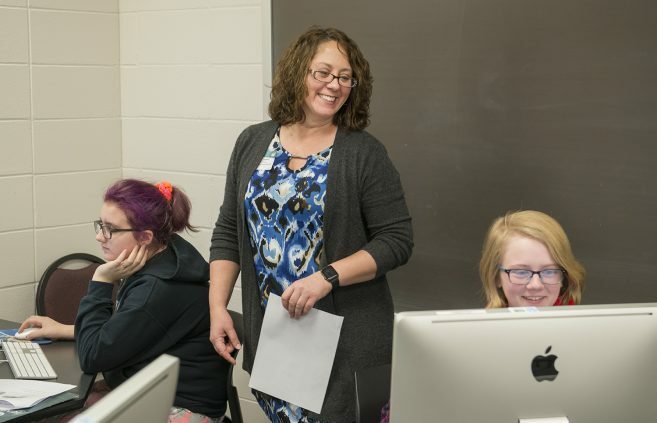 Muriel Kingery has joined Bemidji State University’s admissions team as the first out of state recruiter for the university. 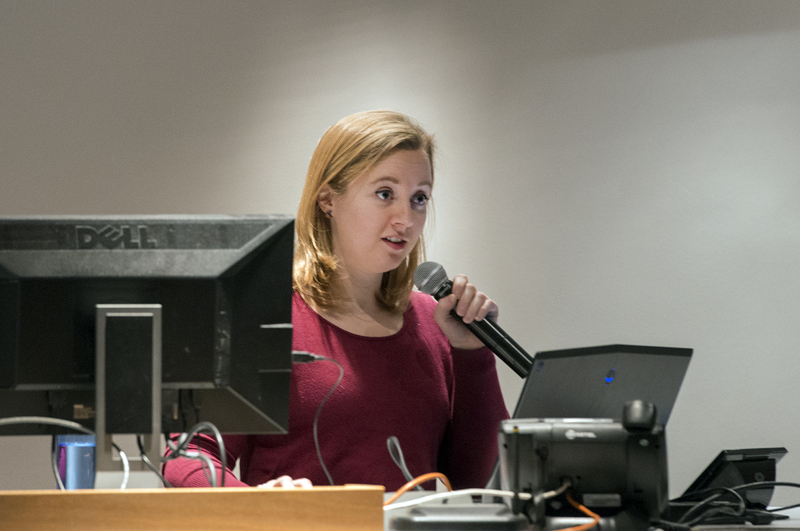 She will be recruiting undergraduate, graduate, international, online and transfer students from across the nation. 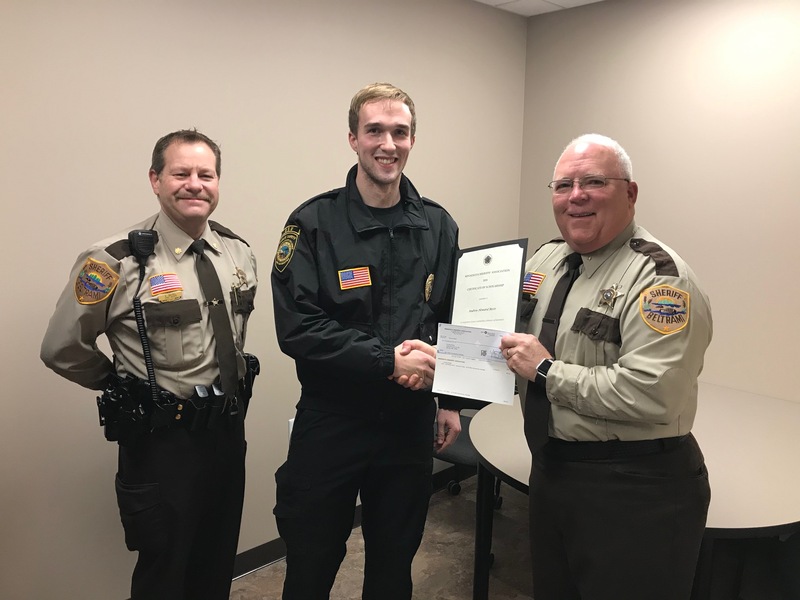 Bemidji State University student Andrew Beste, a junior studying criminal justice from Richmond, Minn., was awarded the Minnesota Sheriffs’ Association Scholarship earlier this fall. 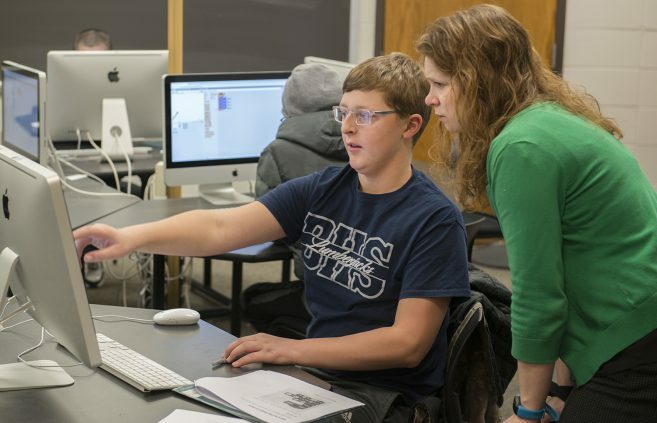 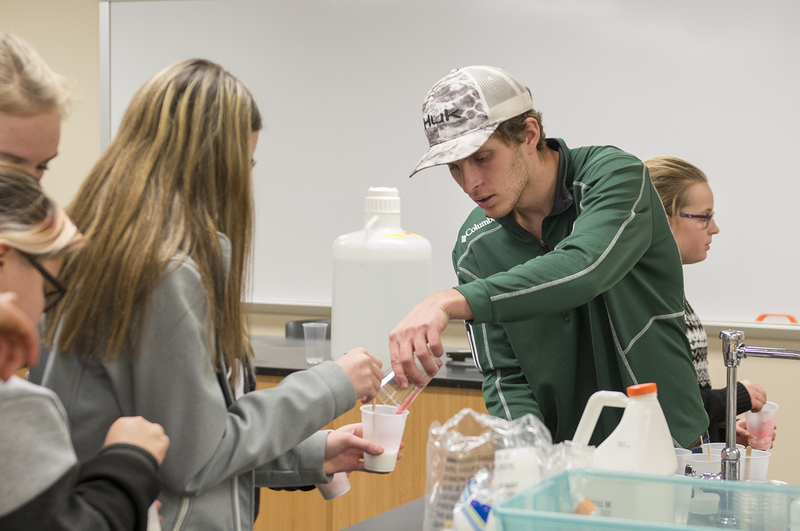 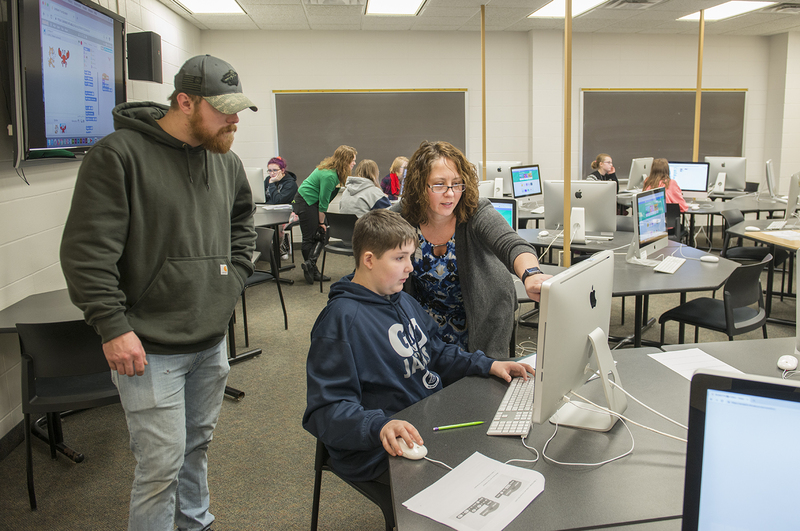 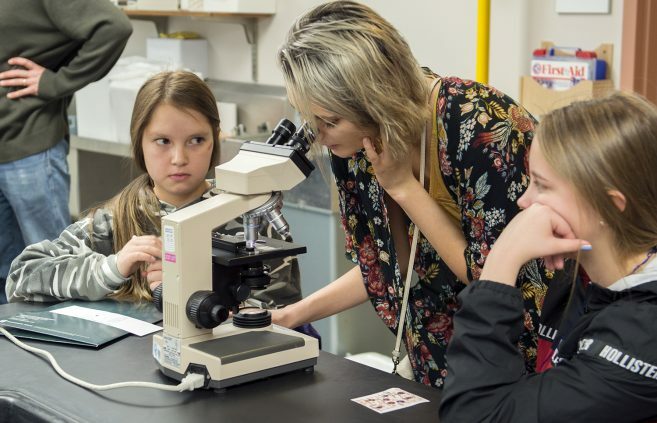 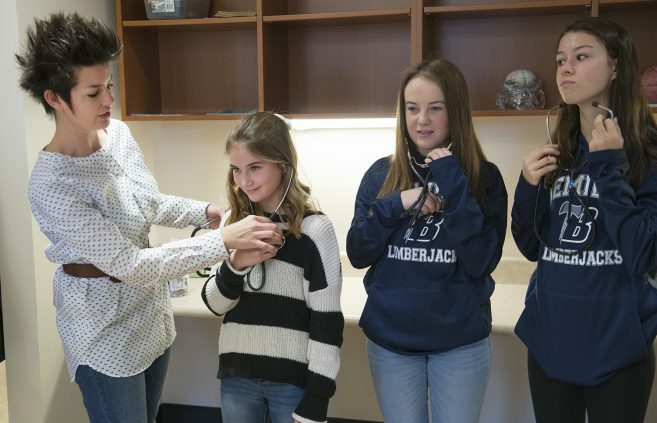 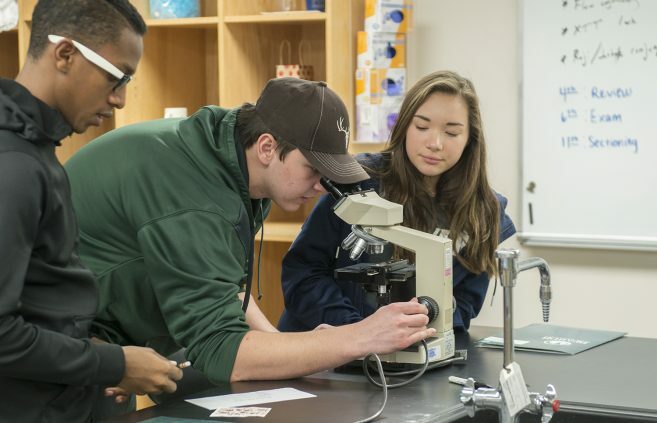 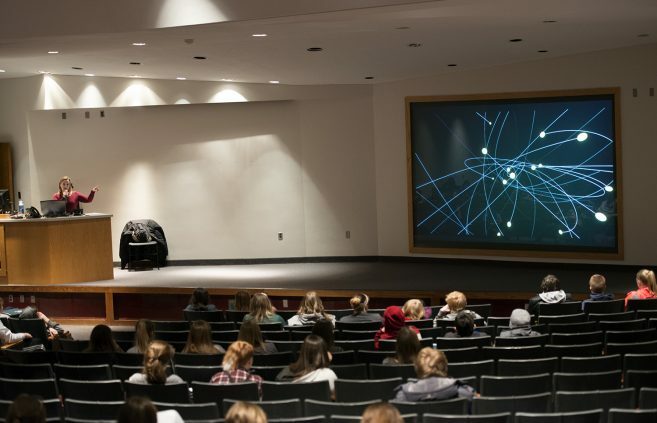 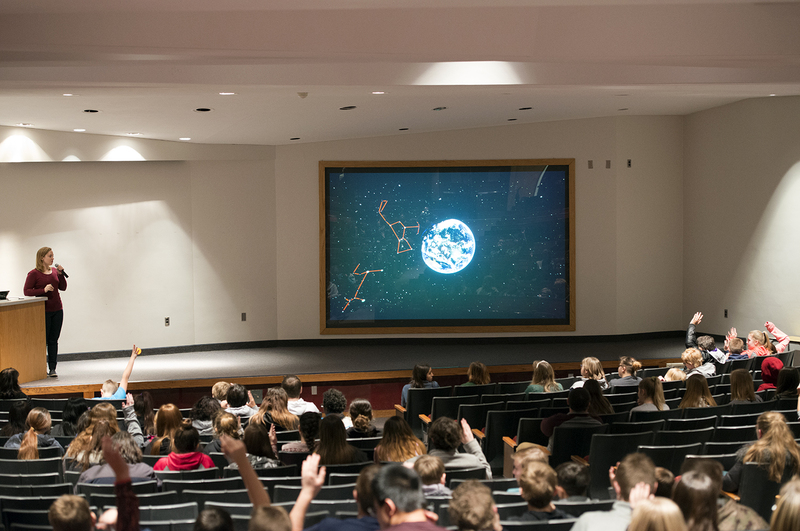 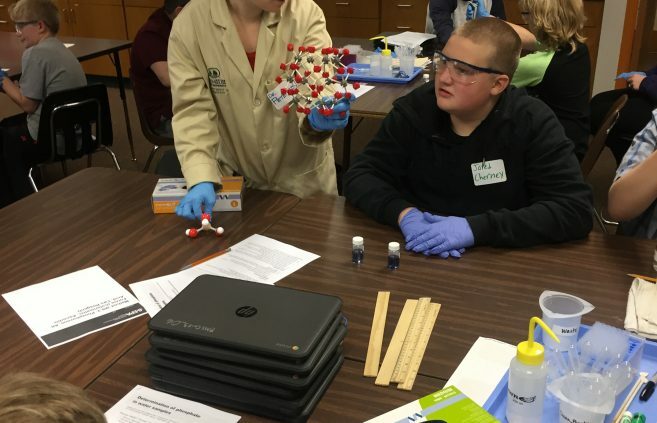 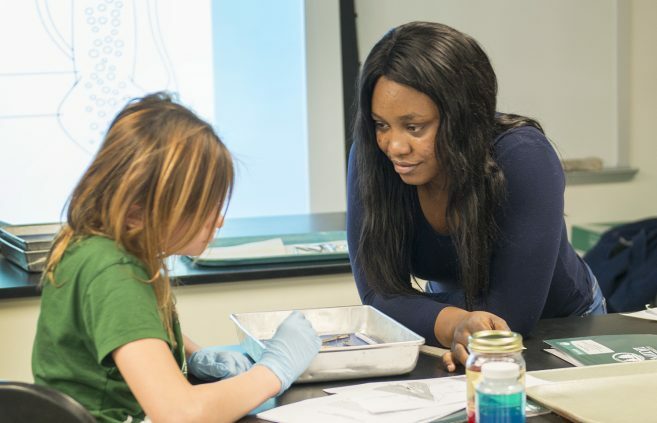 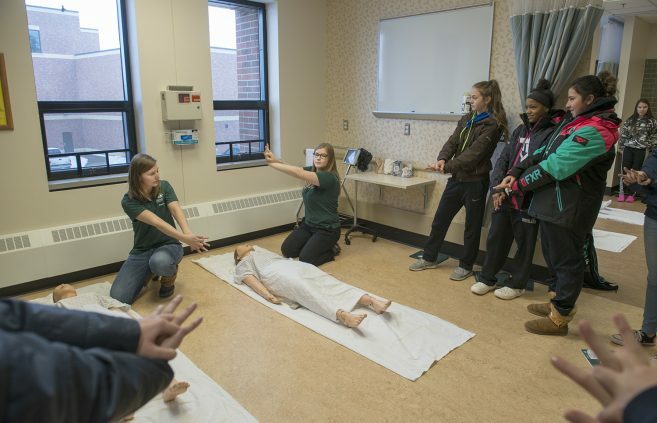 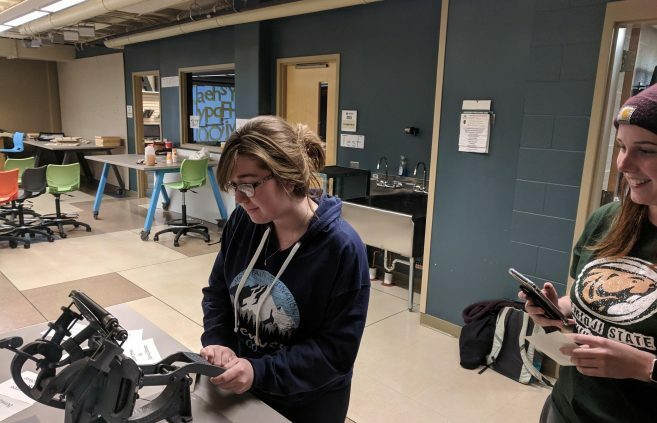 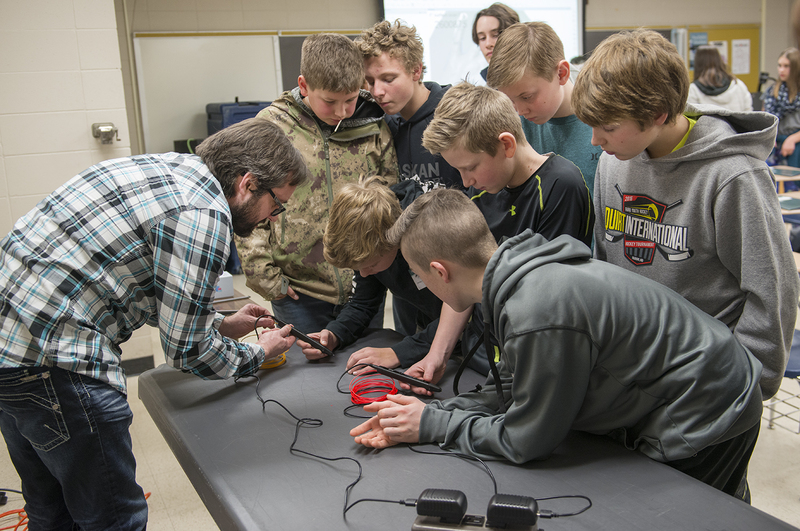 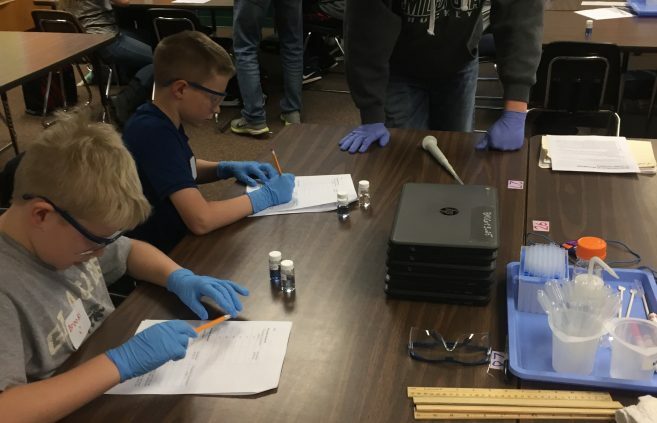 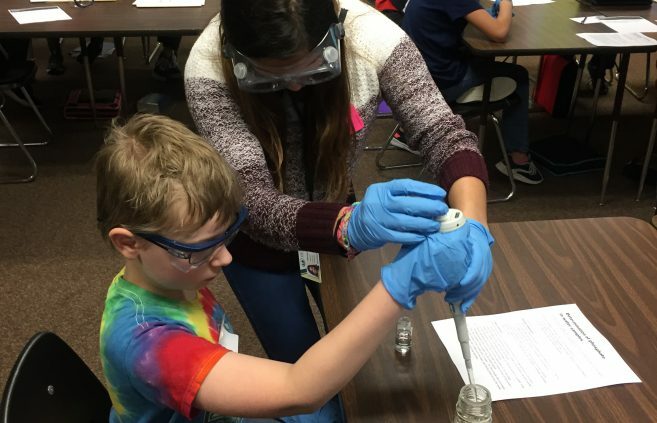 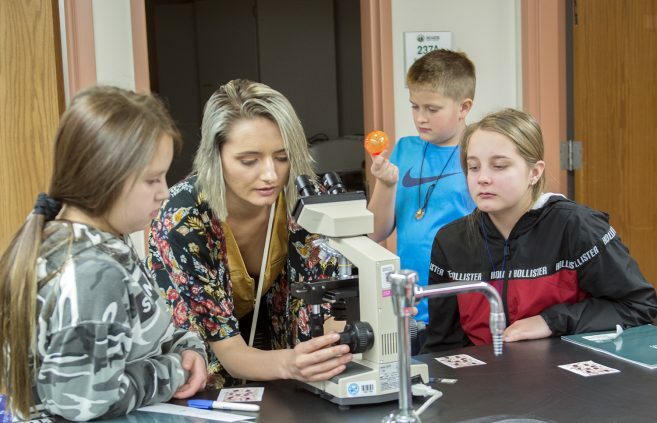 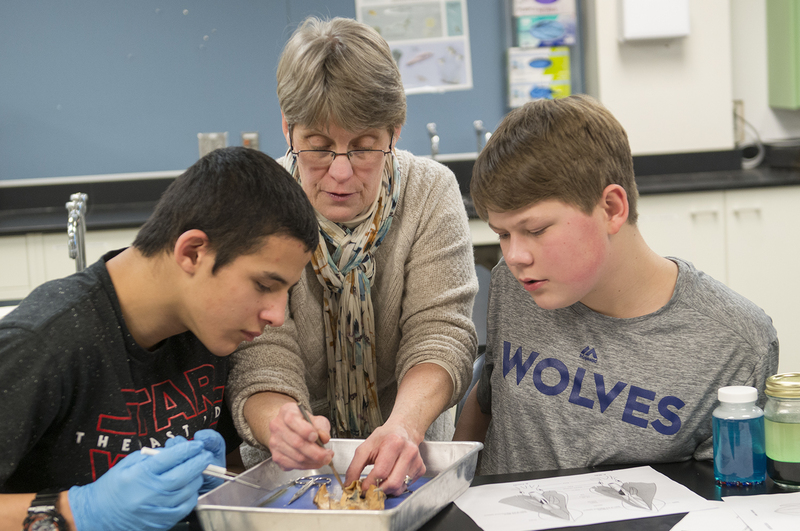 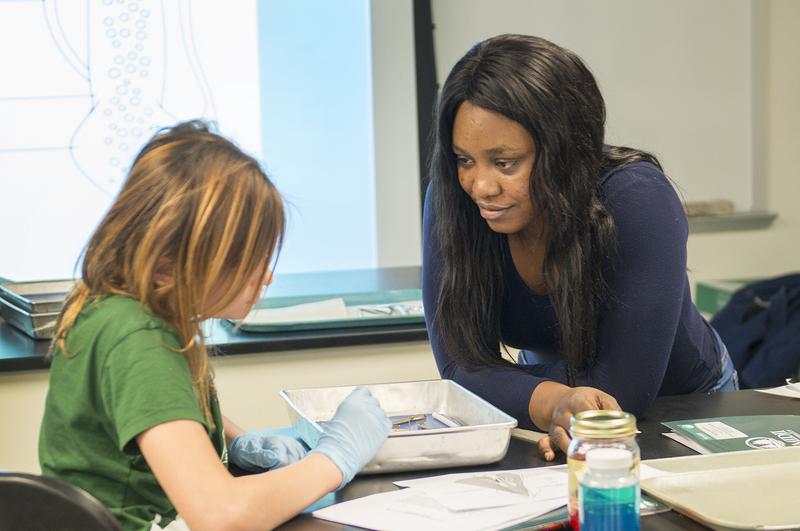 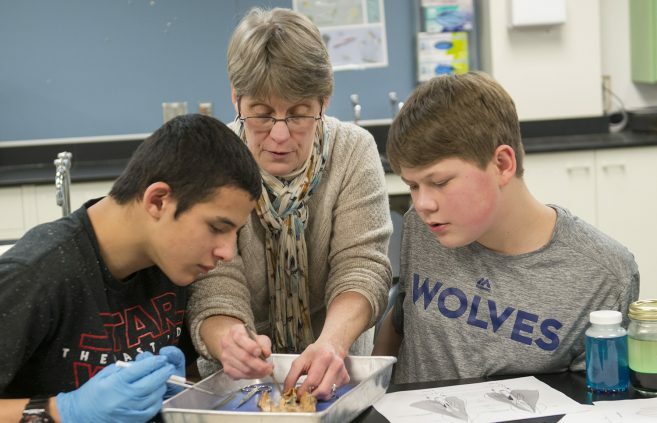 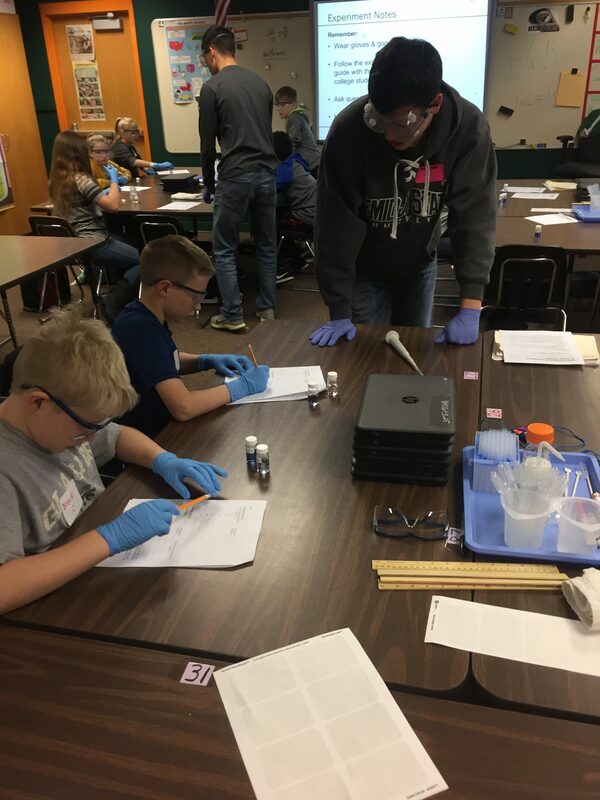 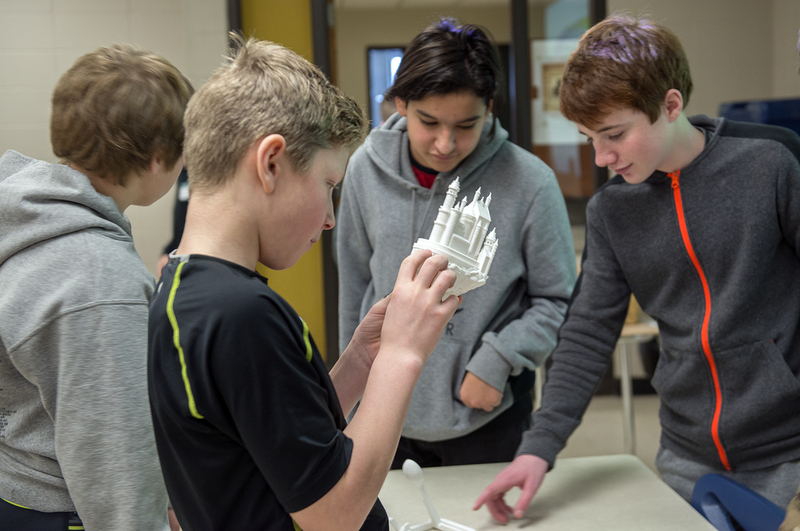 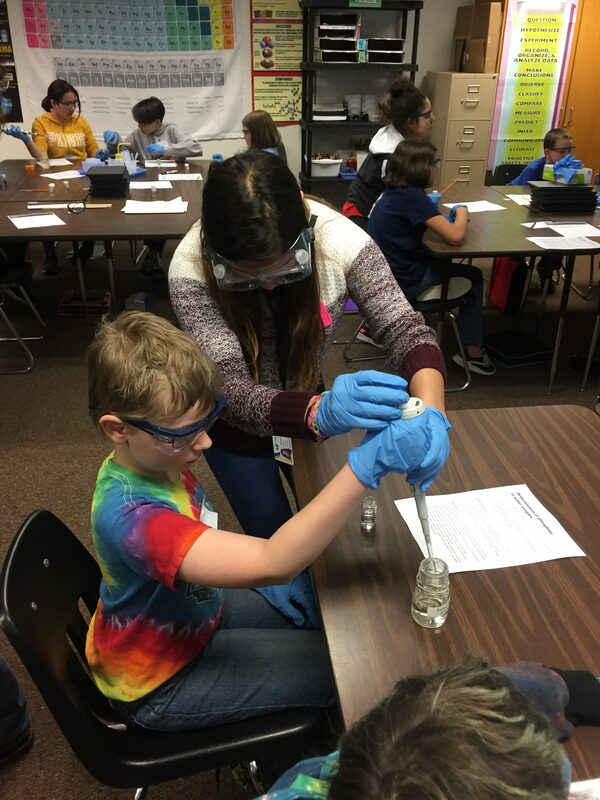 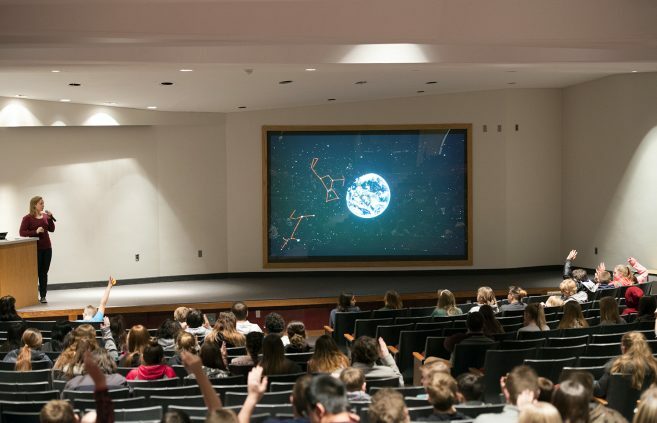 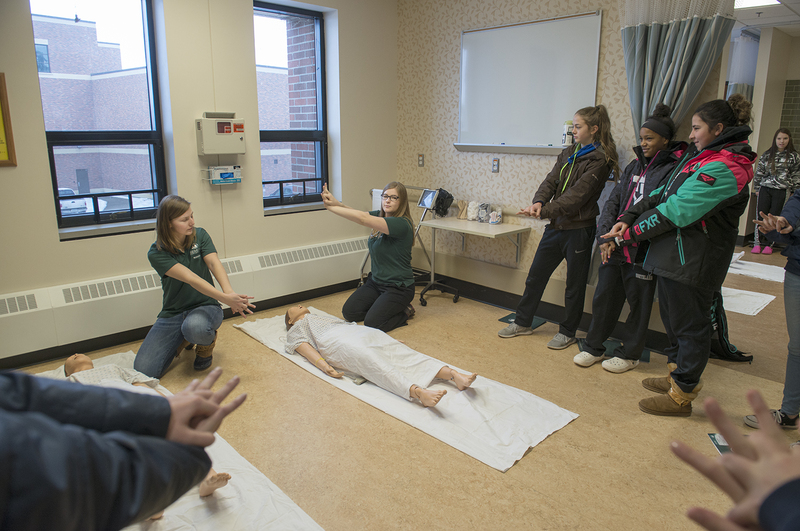 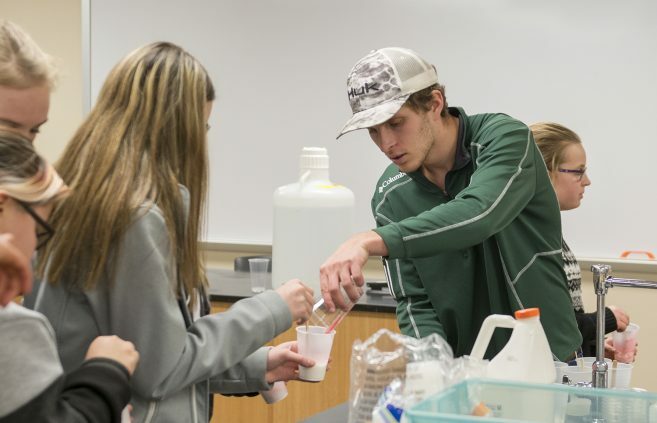 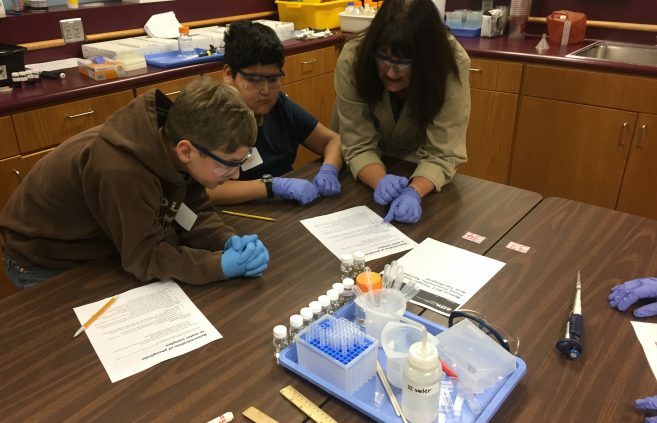 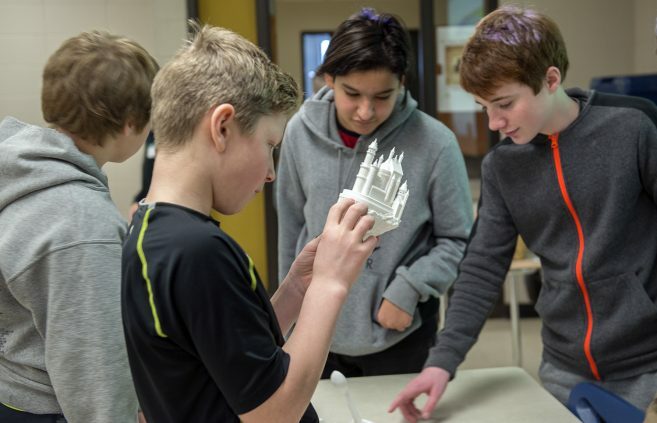 Bemidji State University hosted more than 200 middle school science students from the Bemidji area for the 25th annual Share the Future in Science and Technology Conference on Dec. 12. 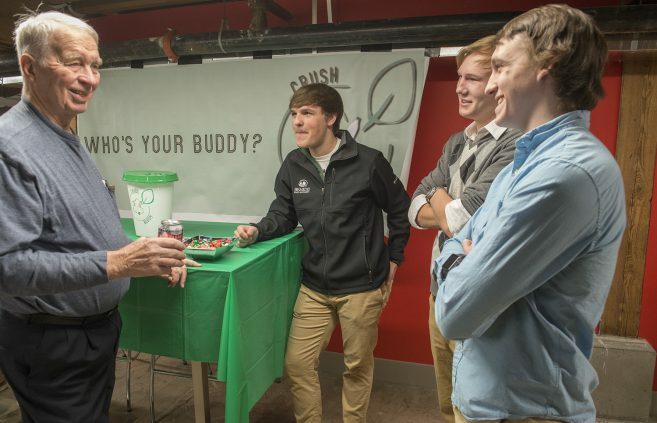 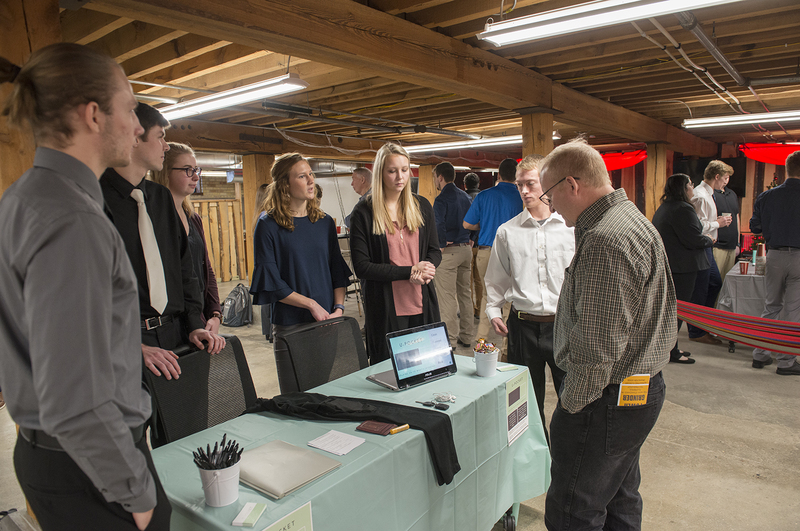 Registration was free but limited to the first 250 students who registered. 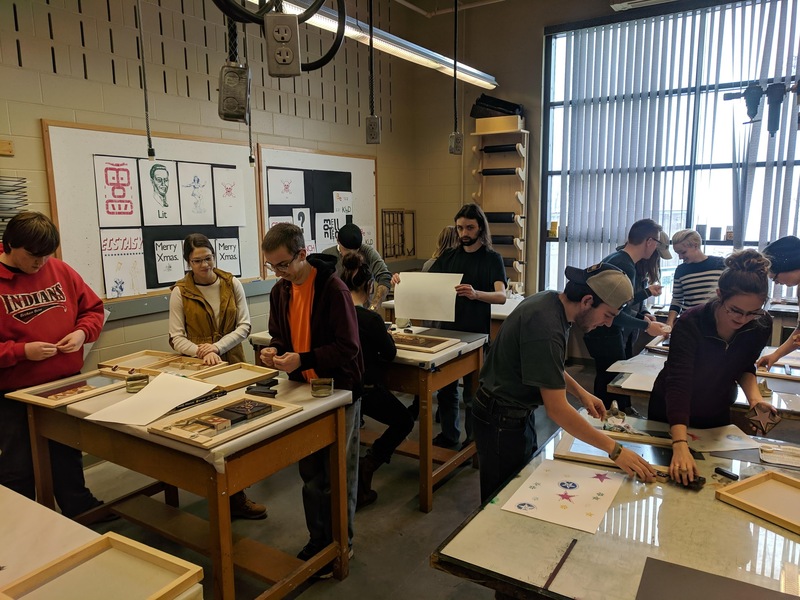 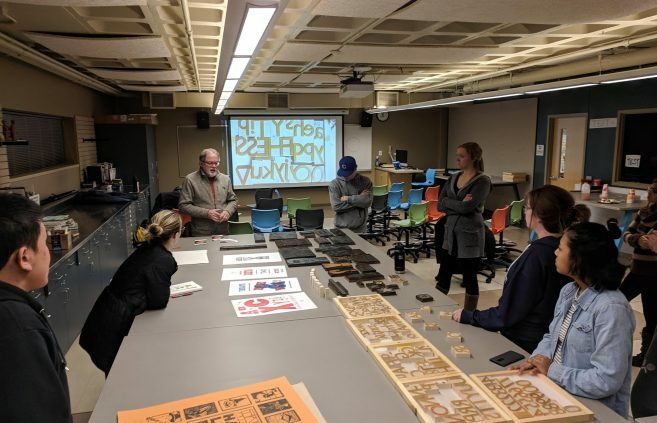 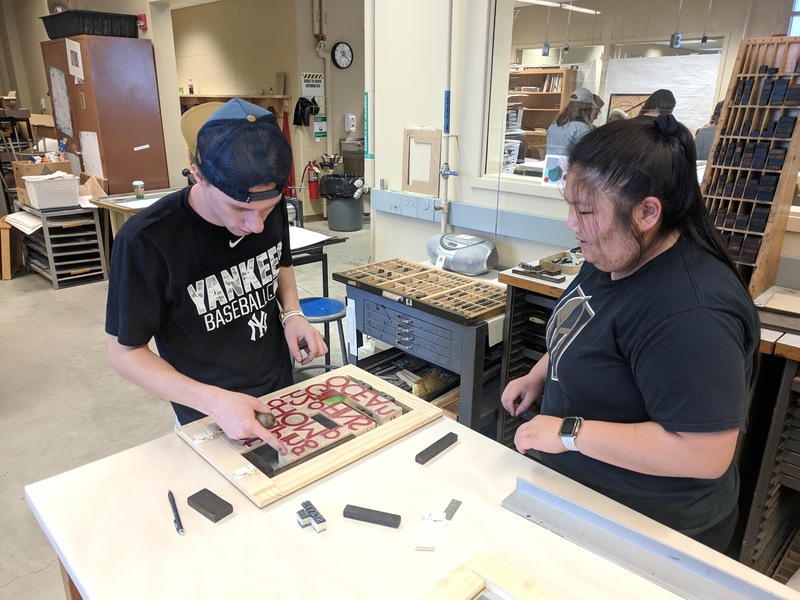 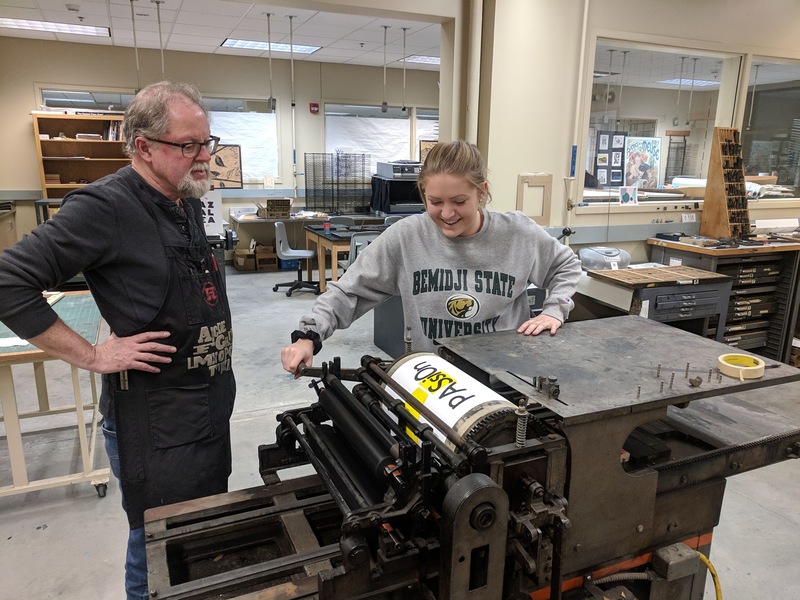 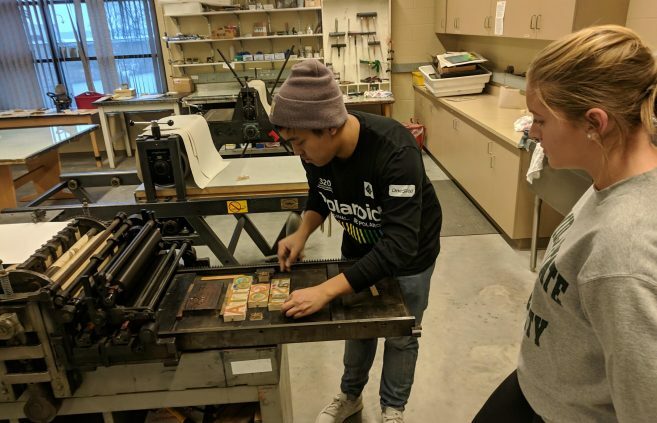 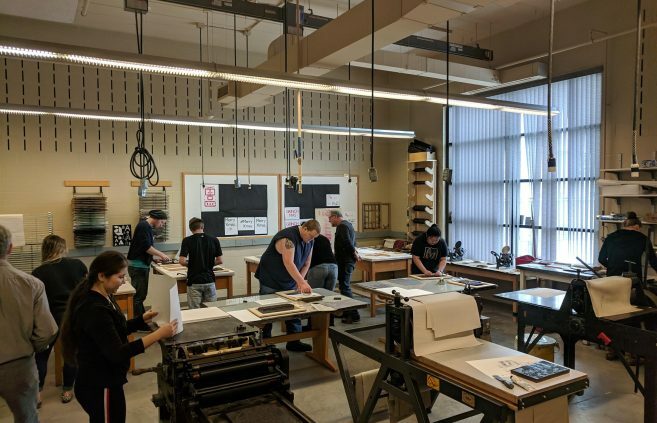 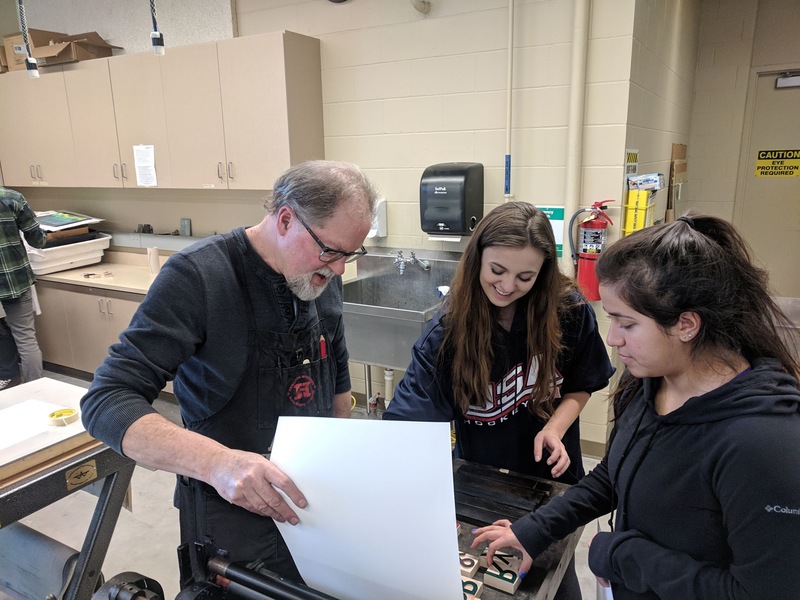 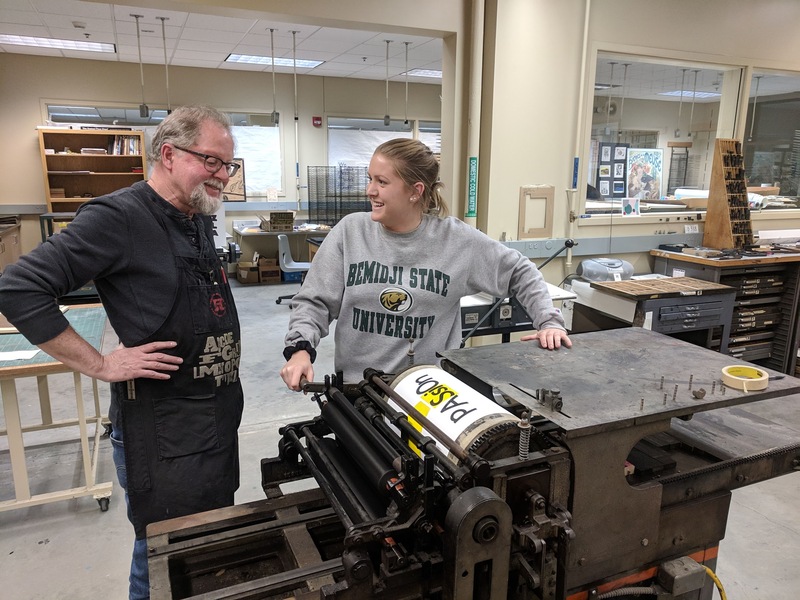 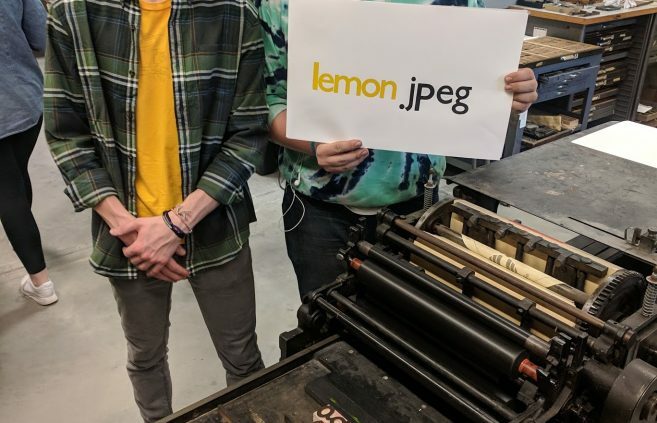 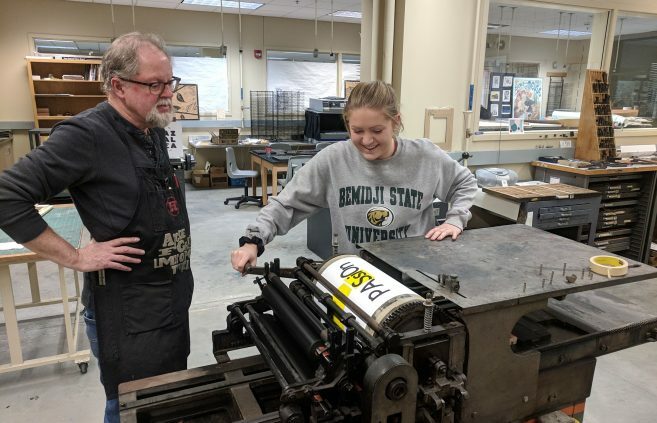 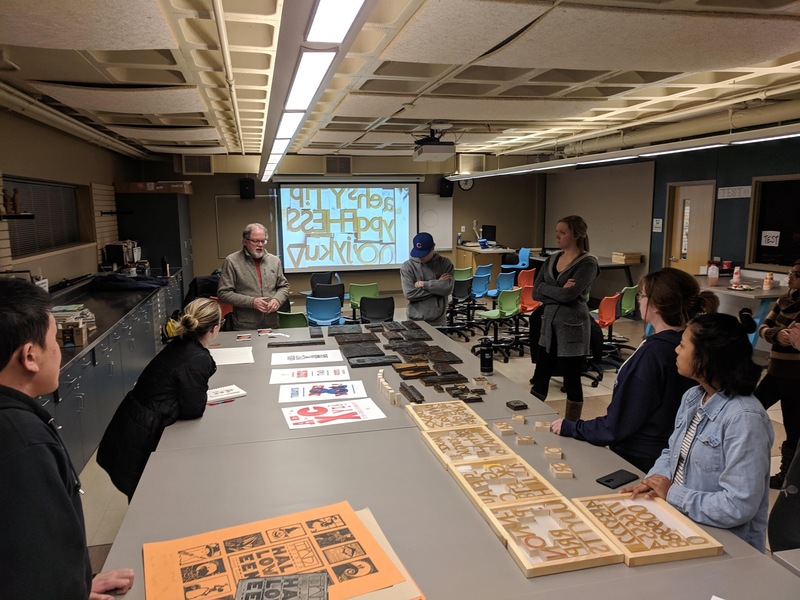 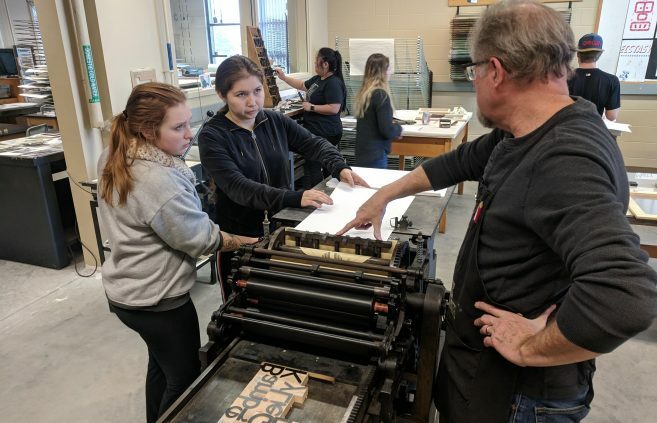 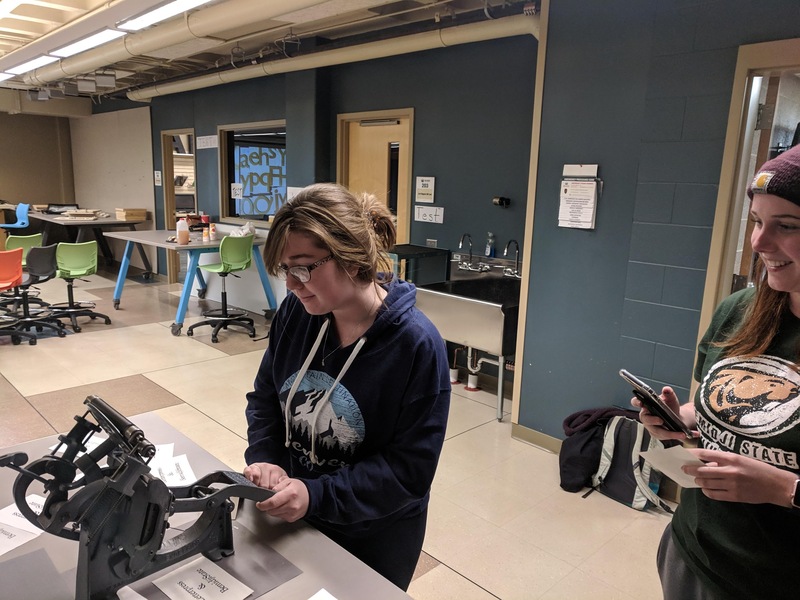 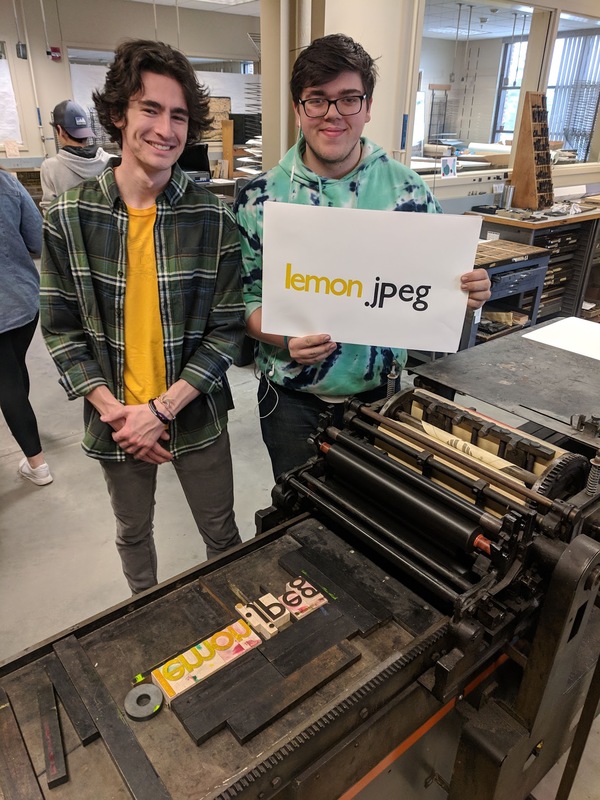 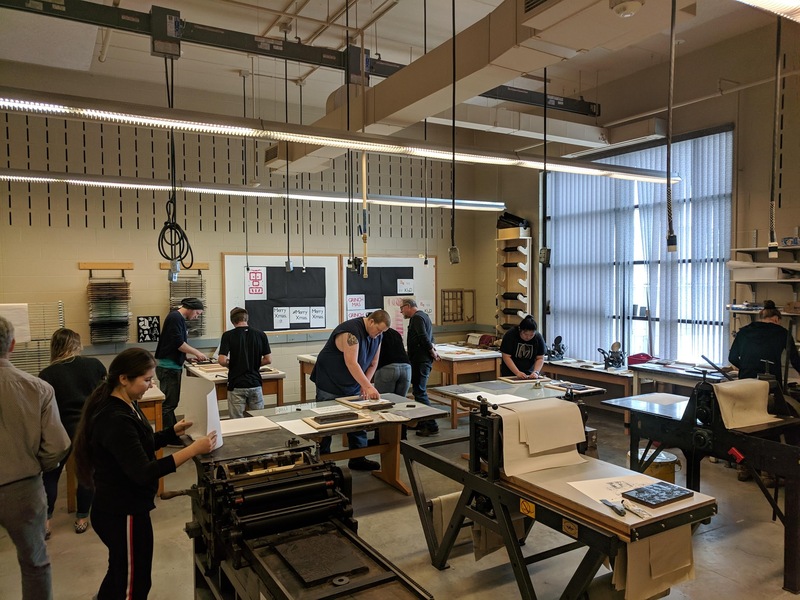 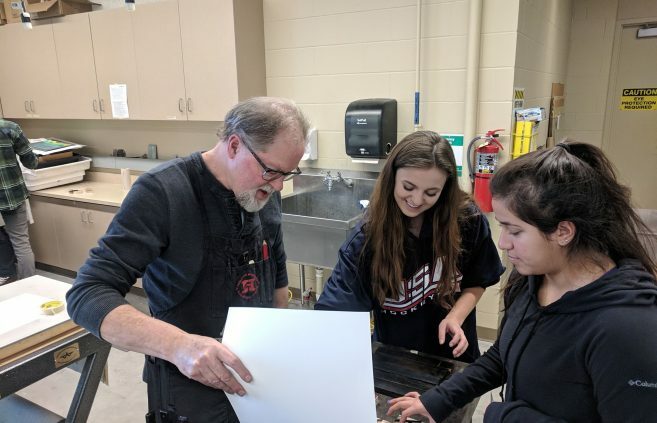 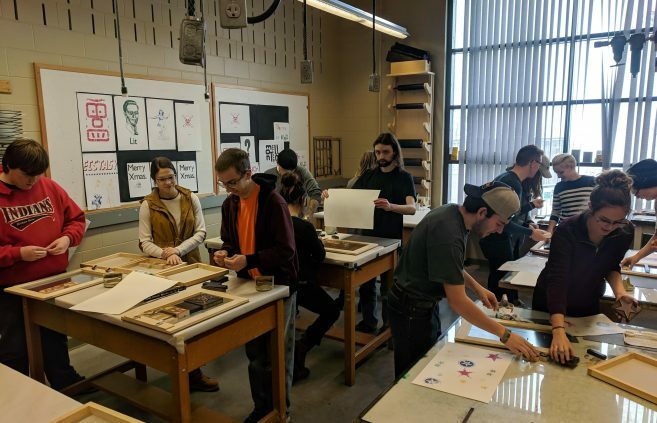 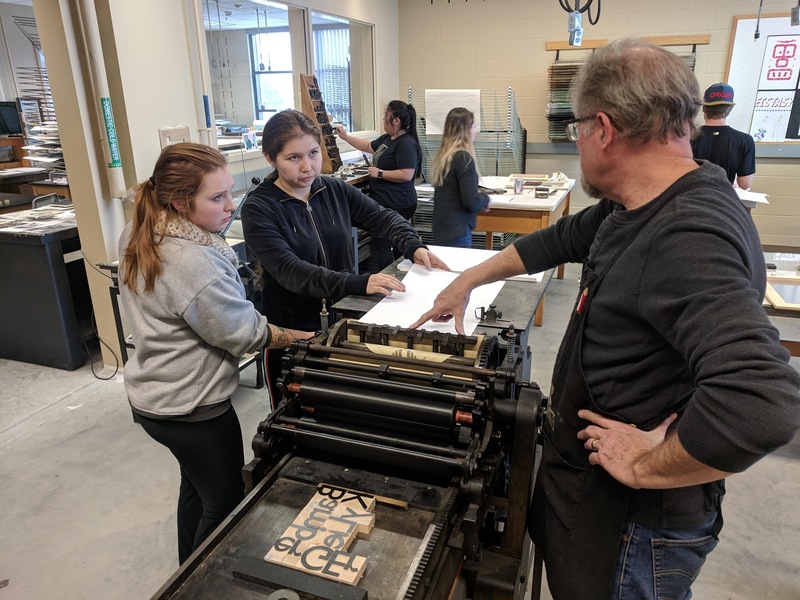 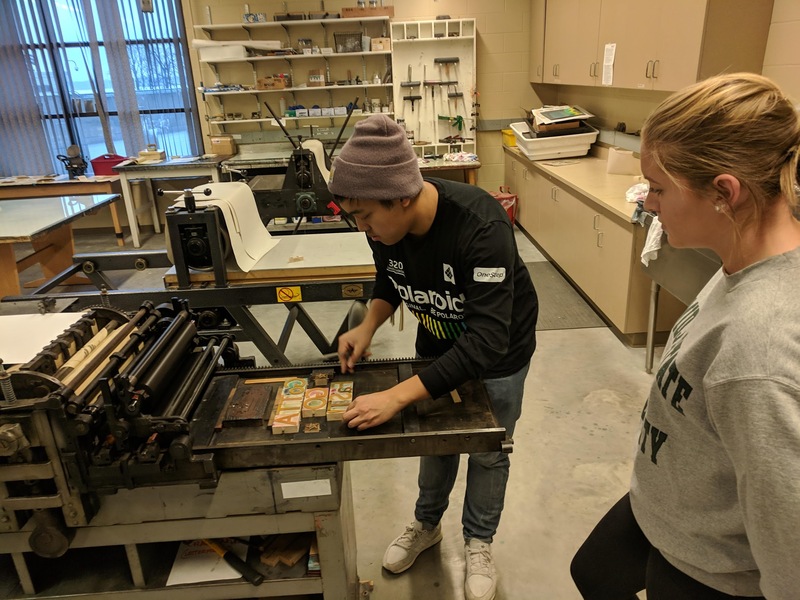 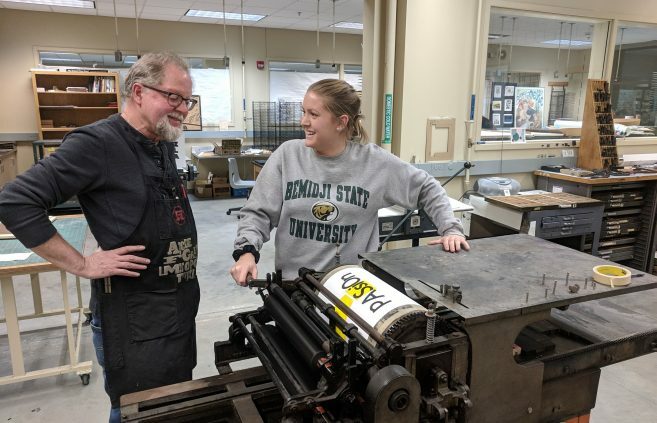 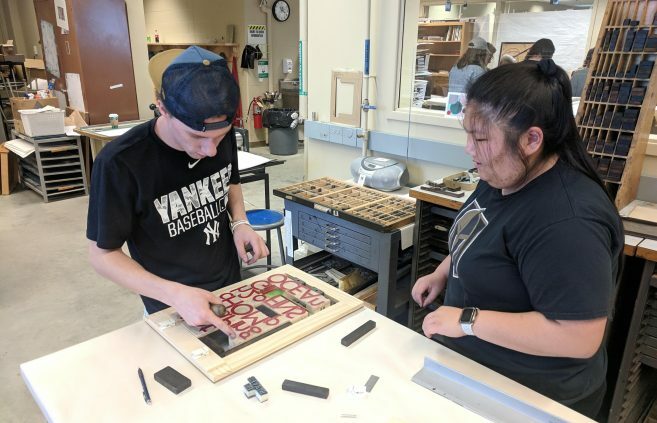 Employees of Bemidji State University and Northwest Technical College were recognized for outstanding work at the 2018 CFO Annual Conference held earlier this month at the Minnesota State system office in St. Paul, Minn.
Director of the Hamilton Wood Type & Printing Museum Jim Moran facilitated a “Wooden Type Workshop” at Bemidji State University with Bemidji State’s School of Technology, Art and Design (TAD). The Department of Music held its annual Jingle Pops concert Dec. 8, featuring the Wind Ensemble, Percussion Ensemble and Blue Ice, in the Main Theater of Bangsberg Fine Arts Complex. 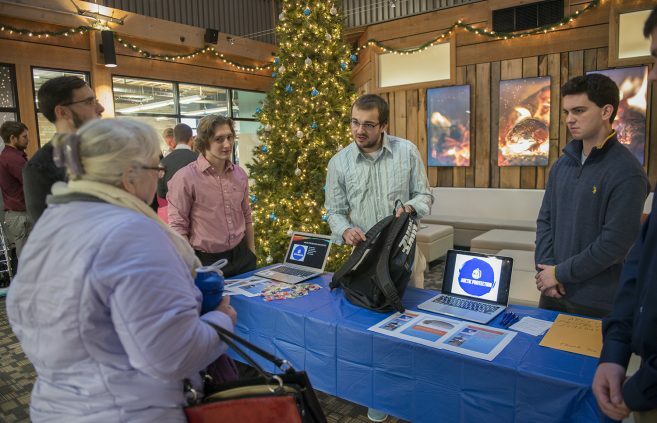 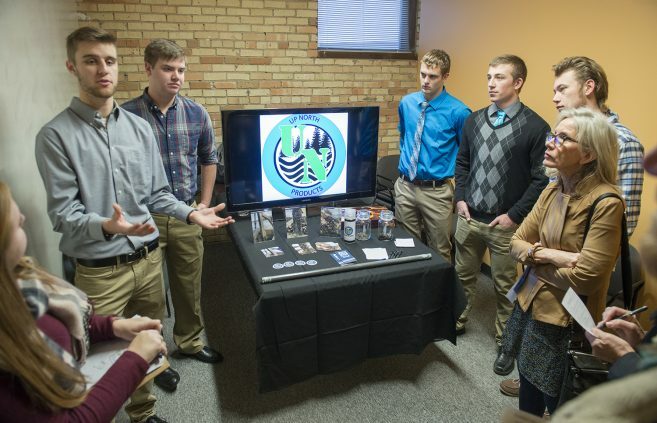 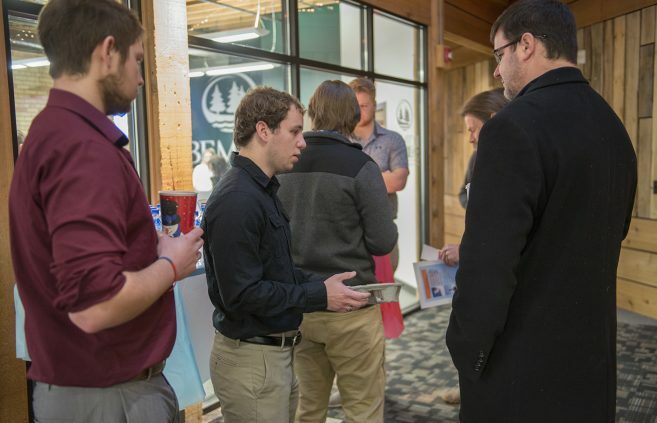 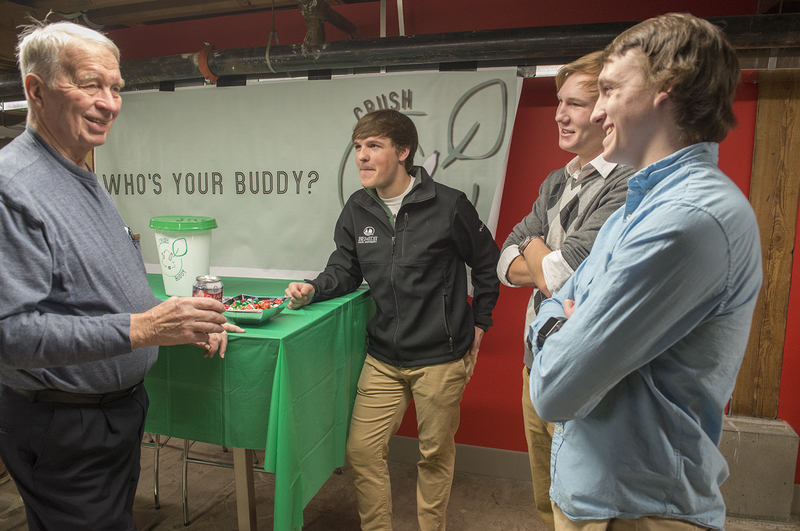 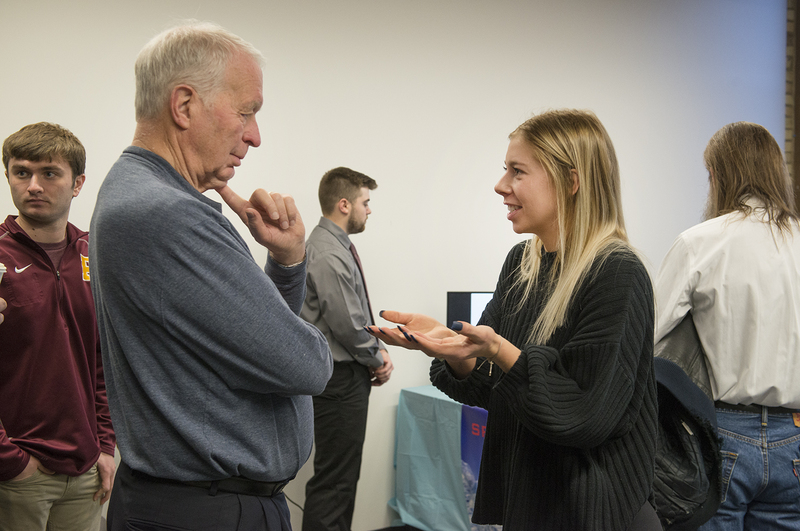 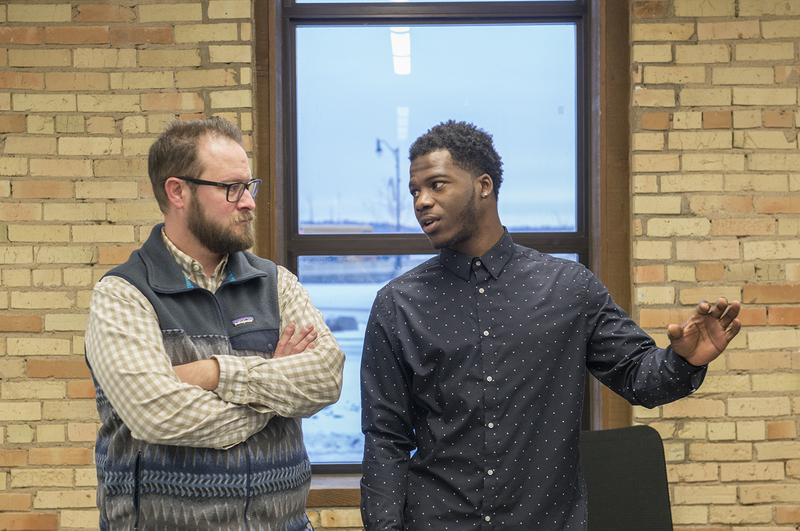 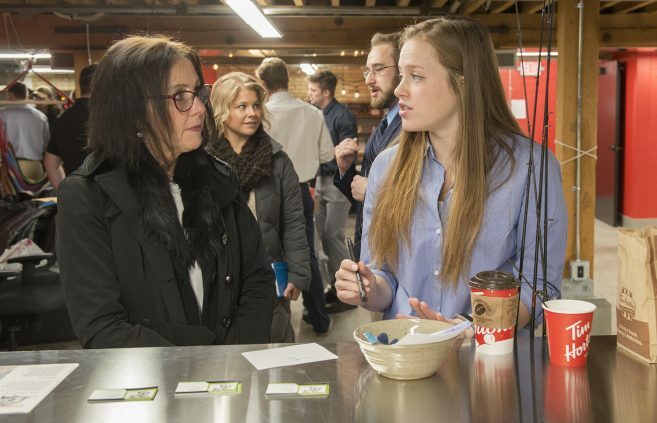 Bemidji State University marketing students held a mock trade show on Dec. 5 with local entrepreneurs and community members. 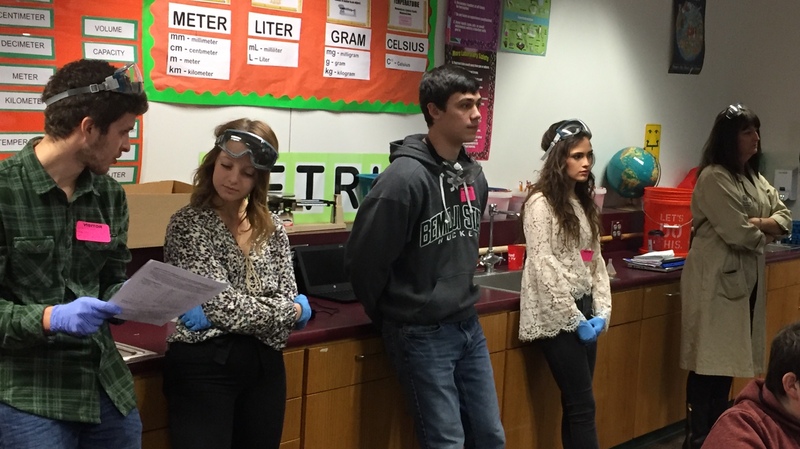 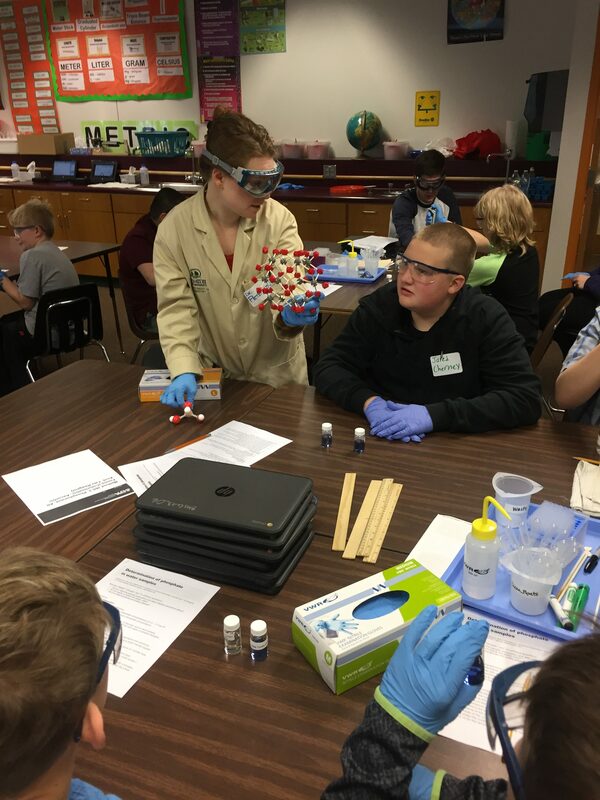 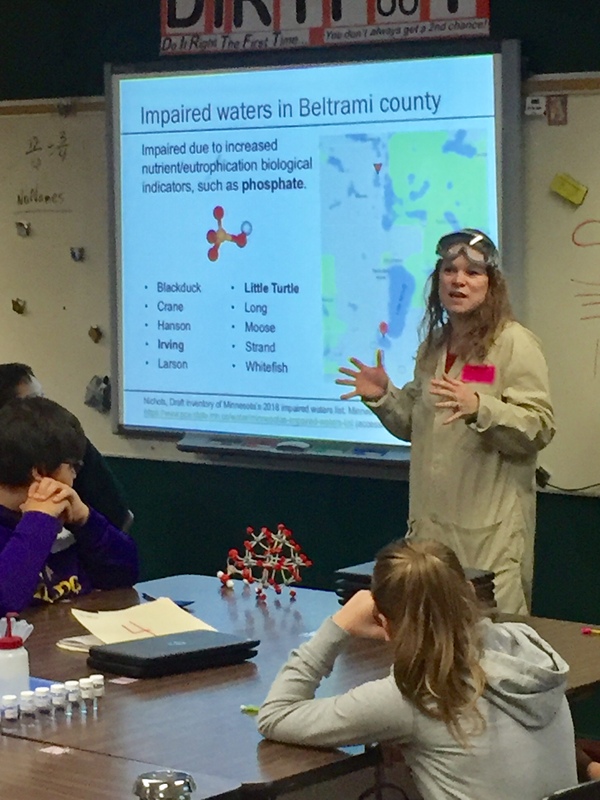 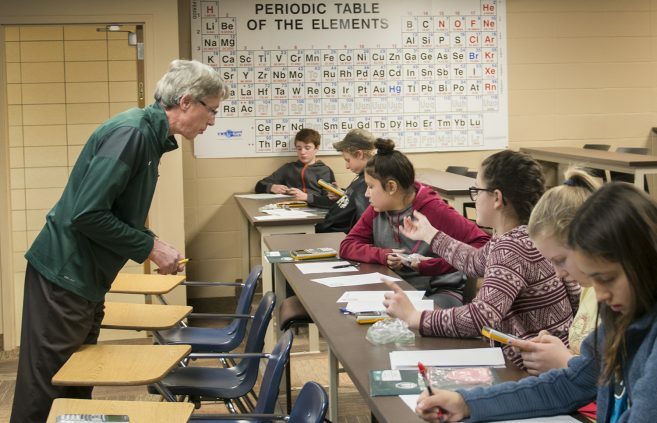 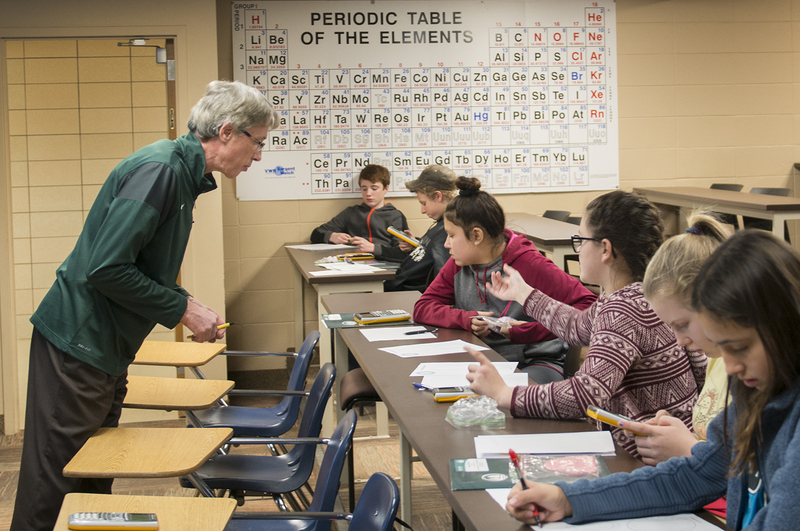 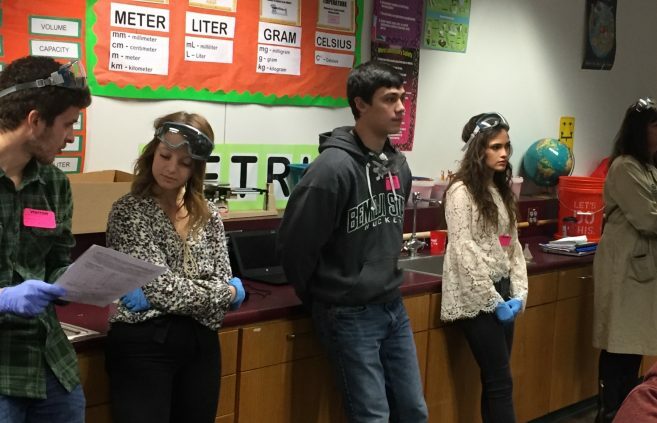 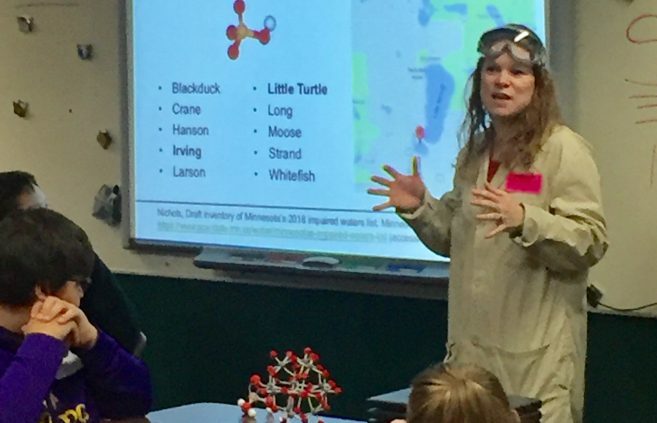 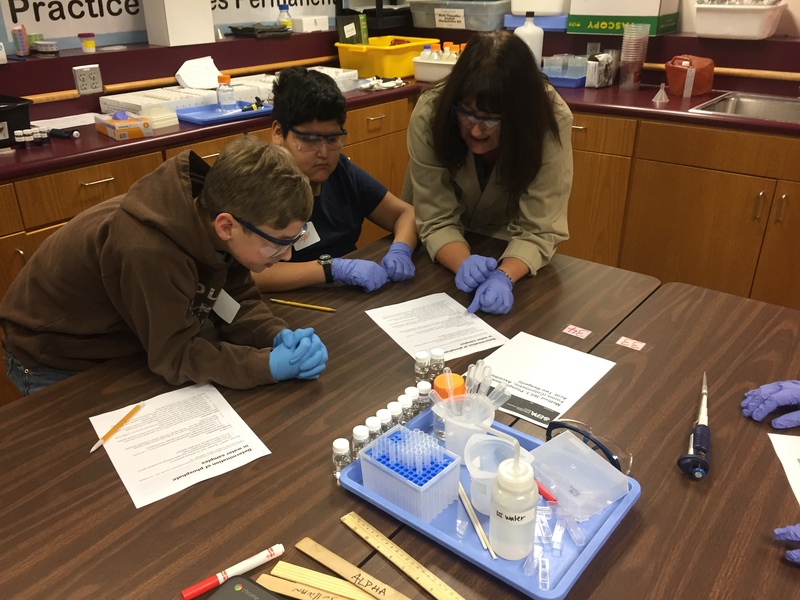 Bemidji State University chemistry professor Dr. Katie Peterson hosted a chemistry outreach event at Bemidji Middle School. 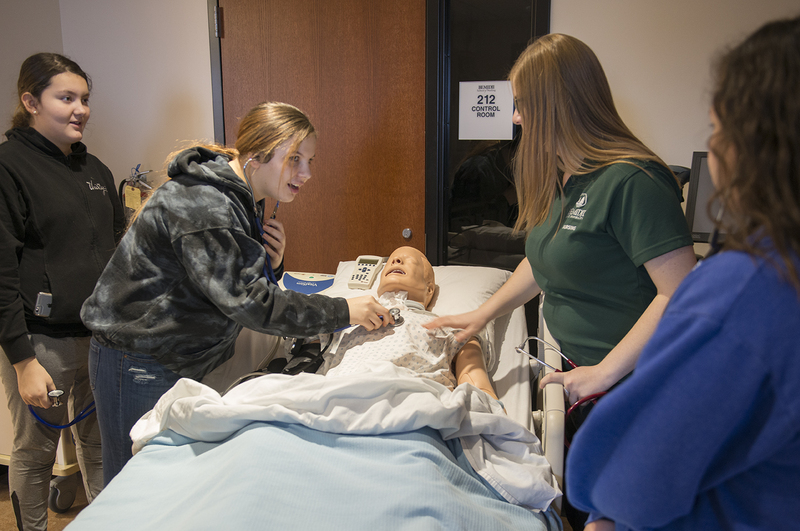 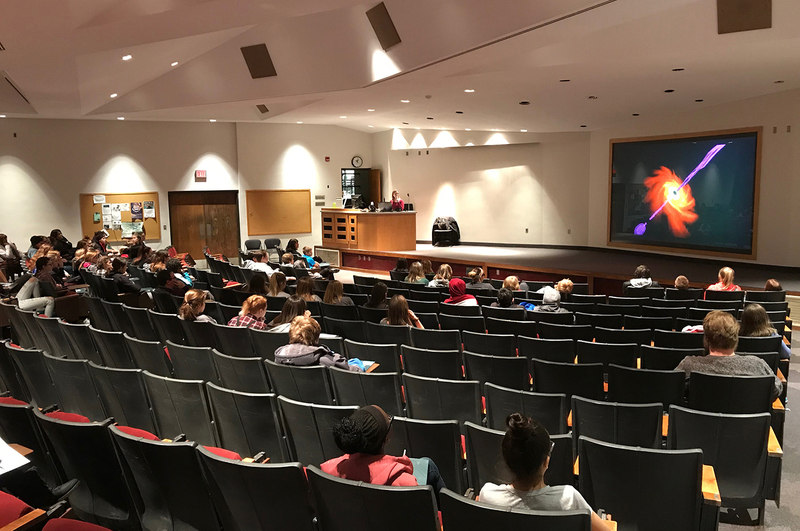 The Bemidji State University Department of Social Work and the College of Individual and Community Health (CICH) partnered with four local, regional and national support organizations to conduct a poverty simulation on Nov. 30. 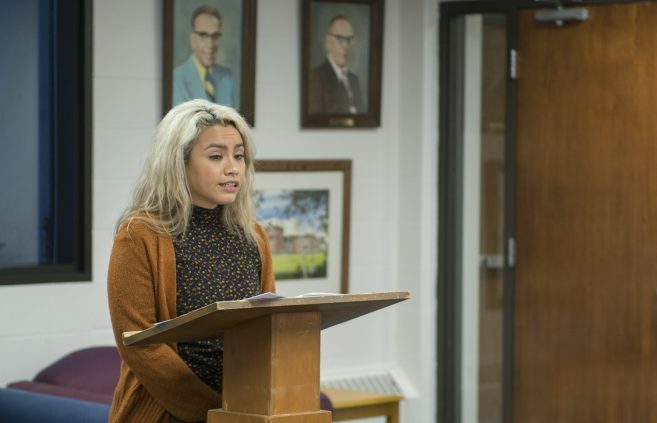 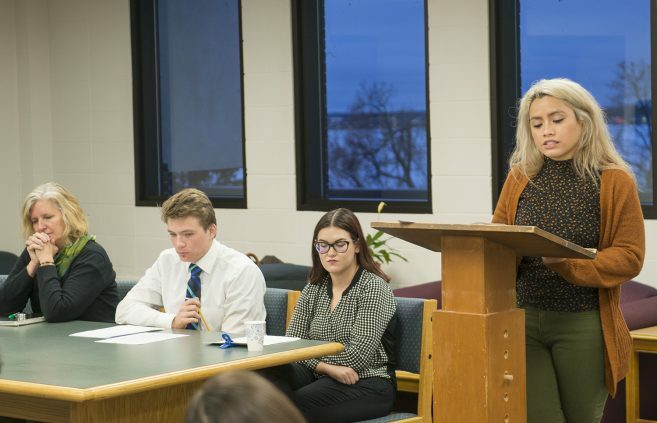 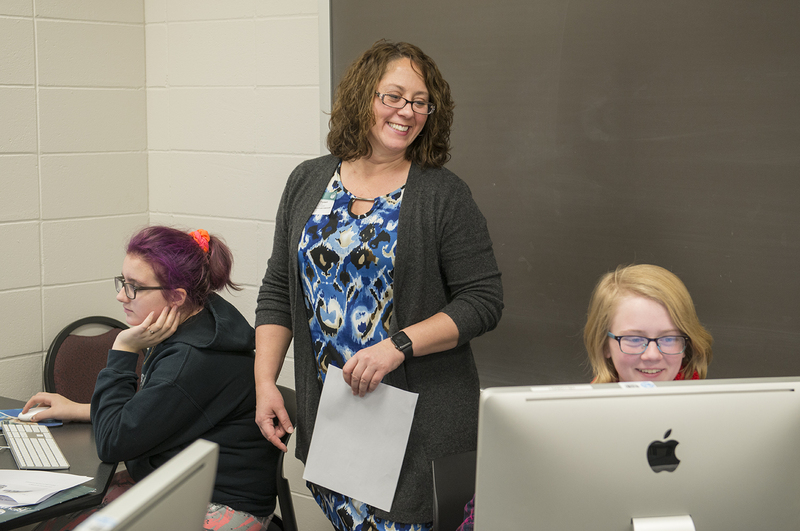 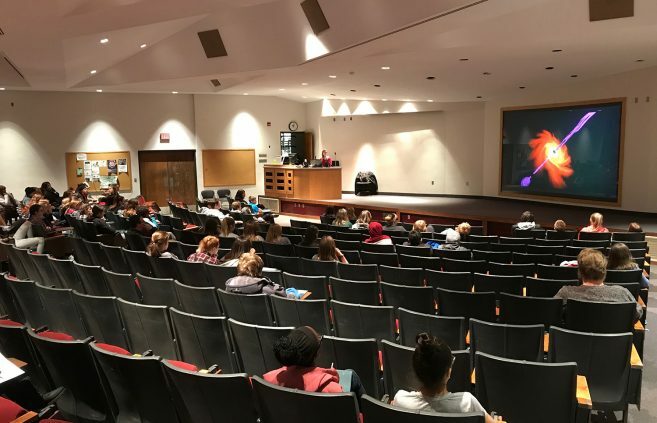 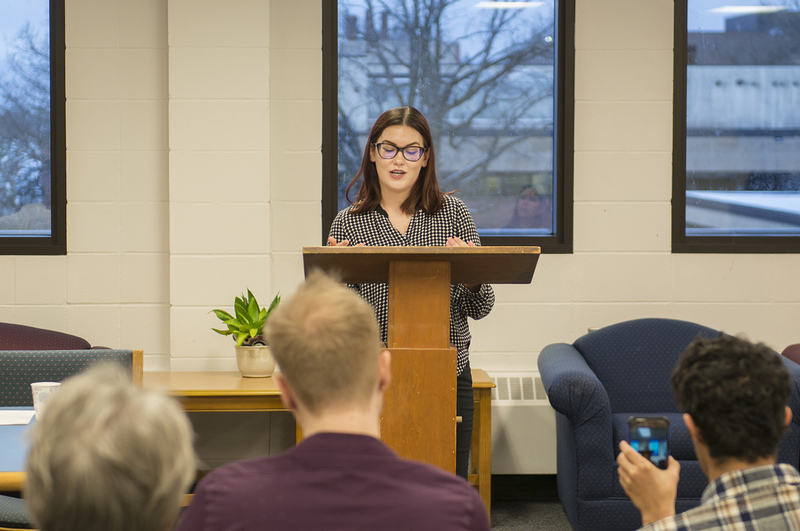 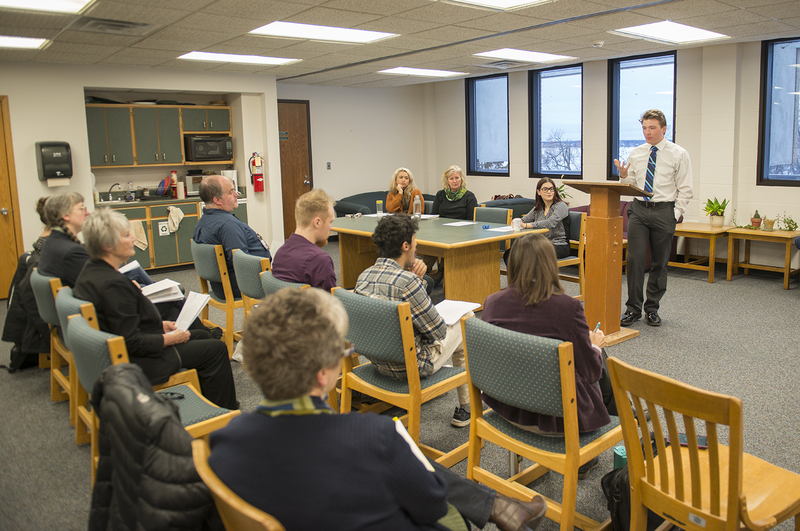 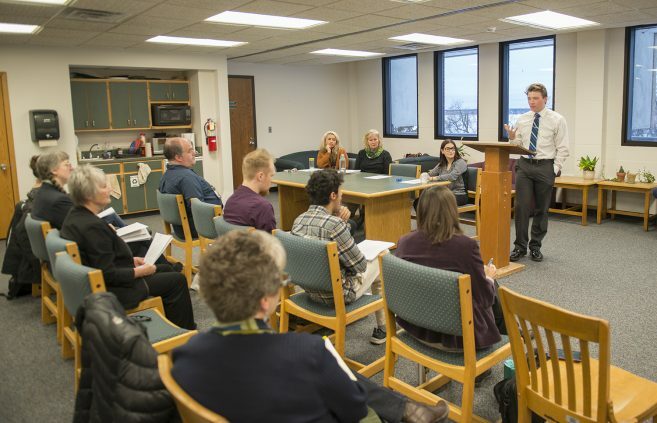 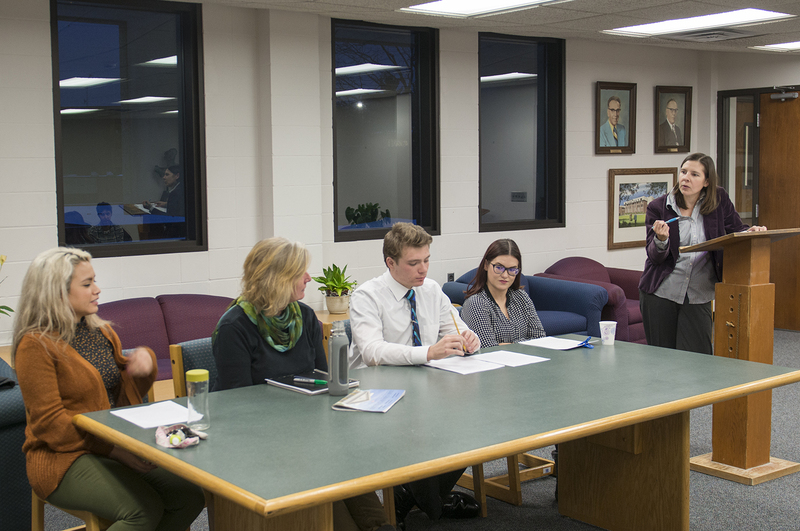 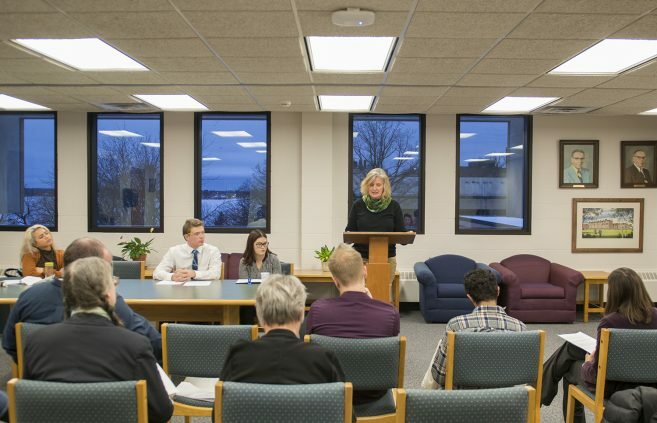 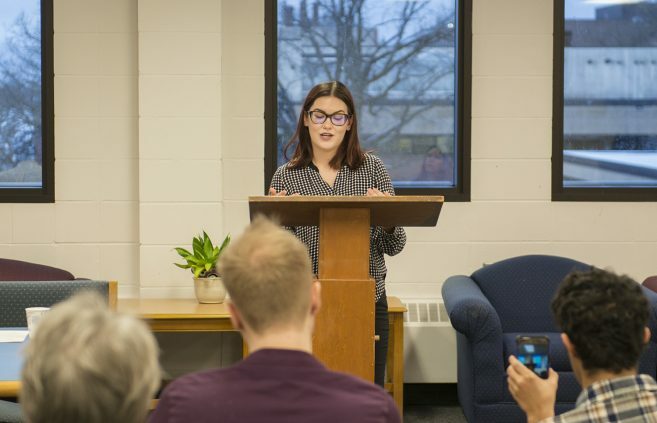 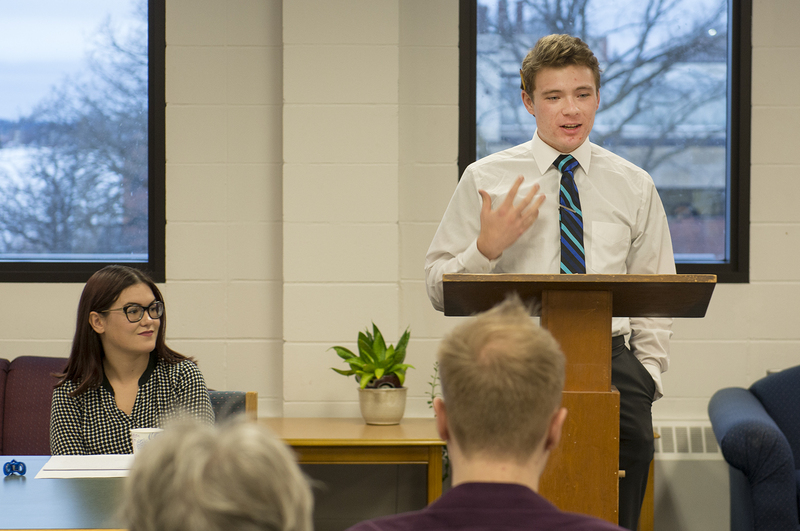 Students and faculty in the Bemidji State University Department of English attended the 2018 Graduate Student Mini-Conference on Dec. 3.